According to HGTV, even a minor kitchen or bathroom remodel will get you a return on your investment of close to 100 percent. So this seems like a good place to start! Even if you’re not planning to sell, you probably already wish they were a little more aesthetically pleasing. Some projects for these rooms are cheap and easy to do yourself. For example, you can paint the walls, replace the cabinet handles and hang new curtains all by yourself with a few trusted tools. But what if you need new countertops, floors or appliances? Most of the time, it’s best to hire a professional for these types of jobs and the cost can be less than you think. In fact, according to HomeAdvisor, the average cost to hire a handyman in Houston for a project like this is $179 – $619 and the average timeline is one to two days. Out with the old and in with the new, as the saying goes. The new year is the perfect time to get your home organized and decluttered. And Real Simple offers up some great advice for doing just that. Inexpensive tools like closet dividers and storage boxes can make all the difference in taking your home from chaos to peace in a matter of hours. Adding outdoor lighting may serve to deter theft and help you sleep better at night. And adding motion detectors to that lighting could be an even greater security measure. This project is certainly simple enough to do by yourself if you have some basic handyman knowledge and take the proper precautions like turning off the circuit breaker. But if you aren’t sure what lighting to choose or how to install it, don’t hesitate to call a competent electrician to help you out. Lower costs can help you save energy this year by making a few simple changes to reduce consumption. For example, seal off old windows with plastic winterizing kits to keep cold air out and hot air in. And replace or clean the filter in your heating unit to make it run more efficiently. Getting your home winter-ready could save you hundreds in electrical or gas costs. 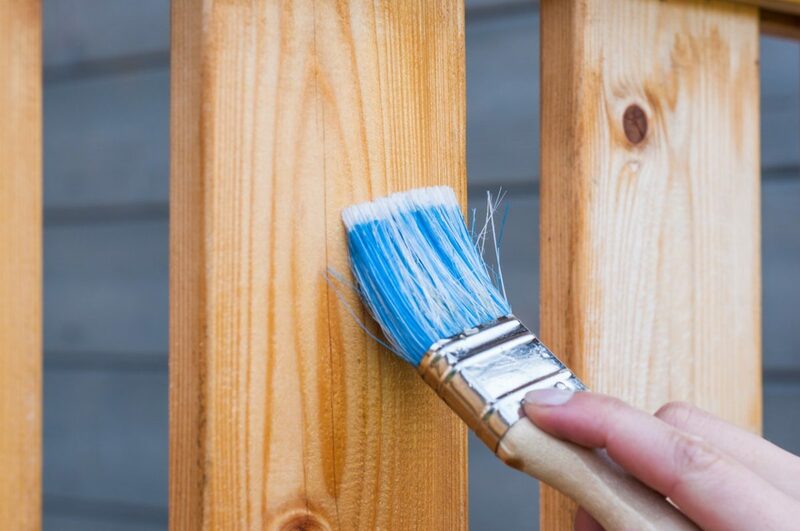 A fresh coat of paint can add a ton of value and appeal to your home. But what colors should you opt for? That really depends on which room you’re painting and if you intend to sell anytime soon. For example, living rooms painted a shade of brown, such as light beige or pale taupe were found in homes that sold for $1,809 more on average. If your idea of a great year includes a properly functioning home that’s also comfortable and appealing to live in, then your resolutions should include some of the ones listed here. Start out with determining which projects are most pressing and then move on to the more fun design plans from there. Tackle what you can yourself, but don’t be embarrassed about hiring a professional for tasks that are out of your skill set.